some of my favorite packaged foods. when it comes to Daiya cheese i liked the swiss style but i prefer the chedder or havarti. the shreds i love all of them. 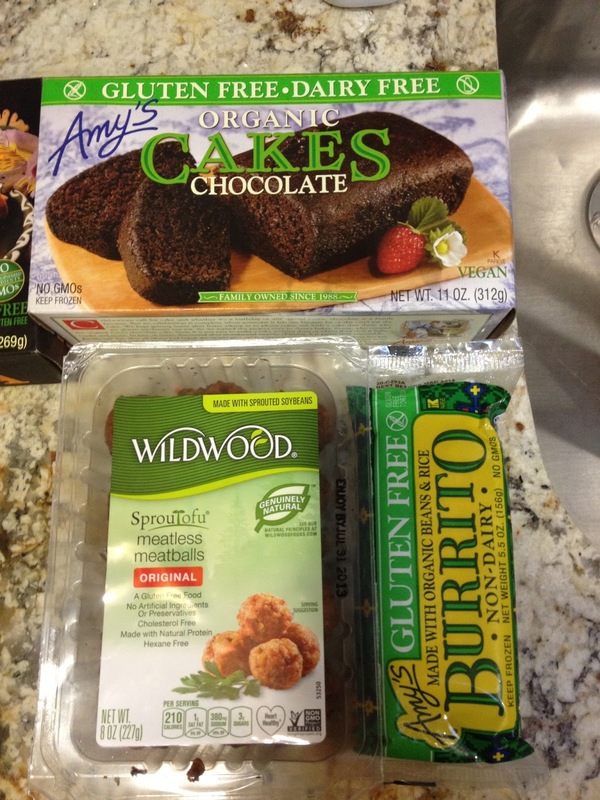 Amy's has these amazing gf/v burritos and breakfast burritos that i LOVE. Also Amy's cake is the best (it was my bday cake). The gf/v mac and cheese and the enchiladas are my favorites! they dont last long at my house! The wildwood meatballs may not be gf but they are really good and vegan. i made a tomato sauce and boiled them in it and it made a "meat" sauce.